In the latest edition of our award-winning Home Plate Update, you can work up an appetite while reading about Cowboys legend Troy Aikman’s new restaurant that will feature live music, gourmet burgers, specialty margaritas and other favorites when it opens at Texas Live! this summer. 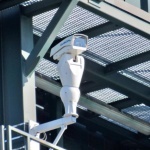 Curious about the progress at Globe Life Field? Check out our updated construction timeline and then watch Texas Rangers players Nomar Mazar and Shin Soo Choo trade their baseball bats for wrenches to help install the first steel column the future $1.1 billion, retractable roof ballpark, which opens in March 2020. 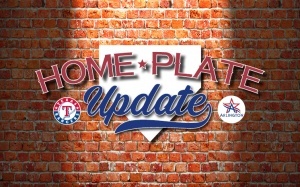 Home Plate Update is a joint project by the City of Arlington’s Office of Communications and the Texas Rangers. This quarterly publication is dedicated to informing citizens about everything happening with the Globe Life Field and the adjacent Texas Live! development. Every edition will be produced in a digital format, allowing for layers of additional content like videos, graphics, links to websites and project documents, and other supporting materials. In this sixth edition, you can hear Texas Live! Chief Operating Officer Jim Watry talk about excitement surrounding the $250 million entertainment complex, which will feature 200,000-square-feet of dining and entertainment, an outdoor event pavilion called Arlington Backyard and a flagship Live! by Loews hotel. 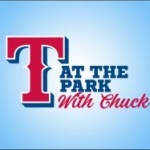 You can also catch five entertaining new episodes of At the Park with Chuck, a series on MyArlingtonTV hosted by Rangers’ announcer Chuck Morgan. 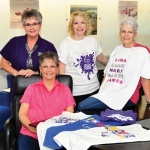 Home Plate Update recently received top honors by the Texas Association of Municipal Information Officers, which awarded the City of Arlington a TAMI Award in the Tech Services – Electronic Newsletter or Magazine category for cities with populations over 100,000.